When I posted my Lemon Raspberry Muffins recipe recently, I promised you I’d share the recipe for the Raspberry Lemonade I made to go with them…well, here it is! It’s very, very lemony! 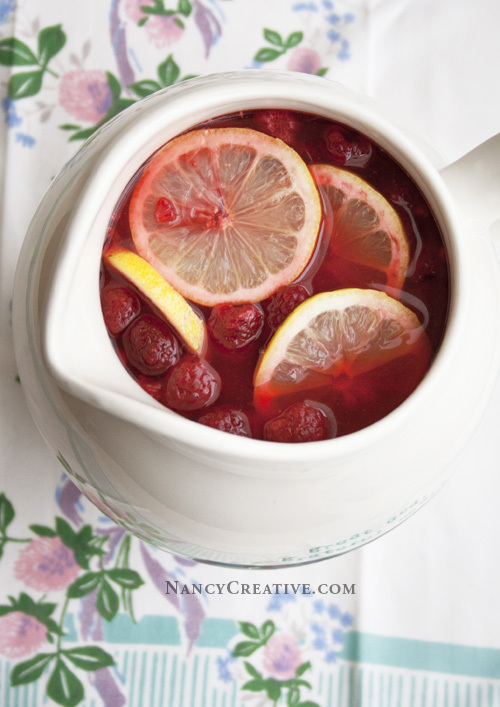 And the frozen raspberries that are mixed in with it give this lemonade a rosy pink color. A perfect beverage to make in the spring and summer…or how about Easter weekend? 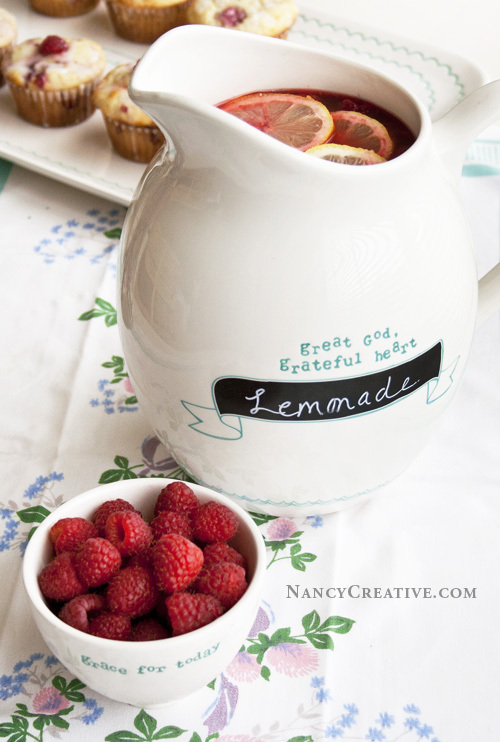 I used a new favorite pitcher of mine to serve the lemonade in–and one thing I love about this pitcher is that it has a chalkboard decal, so you can write the name of the beverage you’re serving right on the pitcher! As I mentioned in my muffin post, this pitcher is part of the Daily Grace Collection by (in)courage (sold at DaySpring.com) and each piece has some inspiring words about gratefulness and God’s grace in the design–so nice to look at when you’re enjoying a meal or snack at your table! Like I said, this lemonade is very lemony, so if you’d like it a little less lemony you can just use 3 cups of lemon juice–or add more water (and maybe a little more sugar) to the mixture. You can easily adjust the amounts to suit your taste. Hope you get a chance to try it out! Squeeze the lemons and pour the juice into a pitcher. Mix together the sugar with 2 cups of water and stir to dissolve to make a syrup. add the syrup to the lemon juice and top it up with 5 to 6 cups of water. If this is too lemony and sweet for you, add another cup or two of water–you may also need to add a little extra sugar to taste. Then add the frozen raspberries. Mix the lemonade together and let it chill in the refrigerator for at least a half hour. Just before serving, add about 1 lemon’s worth of slices to the pitcher and stir (use the rest of the lemon slices in the glasses). Fill glasses or mason jars with ice cubes and a lemon slice; pour in the lemonade and serve. 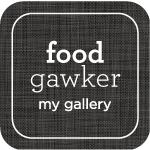 You can halve this recipe, too, if you want to make a smaller amount. I also have a recipe for Fresh-Squeezed Lemonade, if you want to try that out. 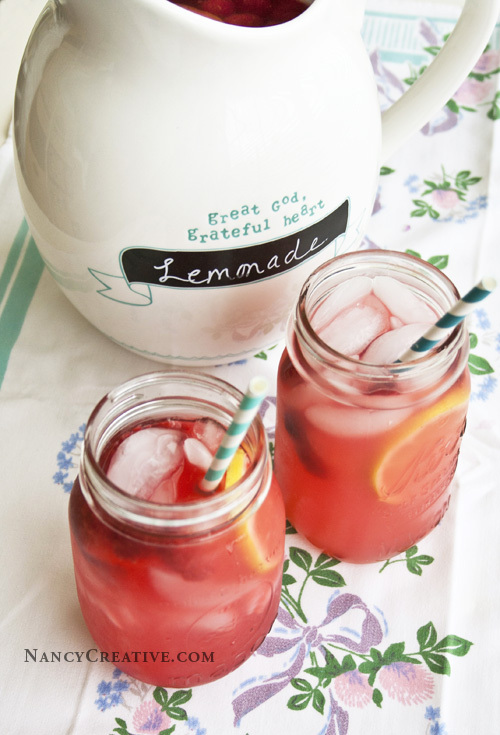 Do you have a favorite lemonade recipe? This entry was posted in Beverages/Smoothies, Food and Recipes, Seasonal, Summer/Summer Holidays and tagged (in)courage, Daily Grace Collection, DaySpring, featured, Fresh-squeezed lemonade, frozen raspberries, lemonade, raspberries, Raspberry Lemonade on April 16, 2014 by nancyc. So pretty, Nancy! And what a great jug! It’s so lovely Nancy… I’m looking forward to have the amazing local raspberries, I’m already know that it will become addicted to your “lemonade”! Such a cool recipe ! Wow, this is brilliant! I’ve wanted to make my own lemonade for ages, but I never knew where to start! This looks amazing! This looks so nice, lovely idea! Can’t wait for warm weather and this lemonade!